The regiment was originally founded in 2015 as a part of Mount & Blade Warband: Napoleonic Wars. We have been an active part of the Australian NW community since then and are currently still active in the game. As a regiment we strive to not only maintain the levels of discipline expected from the Imperial Guard but to do so in a fun way that involves all members. As we are an already established regiment we have strong leadership experience but are always looking for those willing to step up. With the pending early-access release for Holdfast we are looking to expand our group and meet new people as the battlefield moves away from M&B. In addition to being primarily focused on the Napoleonic genre we play a wide range of alternate games and have developed good bonds with our brothers in arms. The Russian Imperial Guard, officially known as the Leib Guard were military units serving as personal guards of the Emperor of Russia. Peter the Great founded the first such units following the Prussian practice in the 1690s, to replace the politically motivated Streltsy. 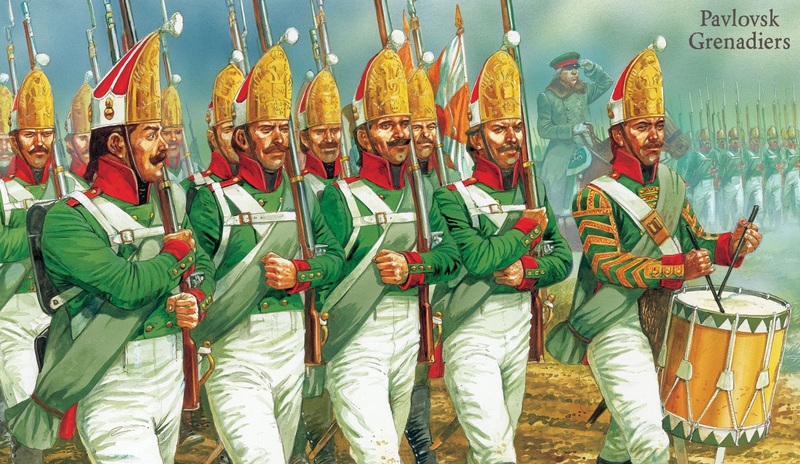 The Imperial Guard subsequently increased in size and diversity to become an elite corps of all branches within the Imperial Army rather than Household troops in direct attendance on the Tsar. Numerous links were however maintained with the Imperial family and the bulk of the regiments of the Imperial Guard were stationed in and around Saint Petersburg in peacetime. Good levels of discipline and behavior within the regiment. Maintain activeness within the regiment. To be pro-active and show initiative in the regiment. Show both ability and willingness to lead. We look forward to playing with you in the future, whether that is from within this regiment or from another.